Well, managed to get my TV sorted just in time as I've taken a week off to recover from a surgical procedure. With the new HD TV, the leap up is definitely less than that from VHS to DVD, but the quality is definitely improved. You can tell the difference just watching standard TV shows, the picture quality varies wildly from show to show. Annoyingly, the leap has reduced the quality of watching animated Region 1 DVDs...for lack of better terminology, the US have less pixel lines in their TV formats than ours so when watching R1s, our systems kind of fill in the gaps. This resulted in slight zigzag effects along animated stuff (being more precise in delineation than live action stuff, where it isn't so noticeable) and with HD, this is sadly more evident. Fortunately, the Avengers looks stunning on Blu-Ray. The second disc is a solid route to the Avengers, studying how each individual Marvel movie started layering details together. There's also some extended/deleted scenes: I can see why it was dropped (pacing) but there's a great sequence of Captain America adjusting to modern times. I imagine there'll be more of this in Captain America: The Winter Soldier. Also watched the first Batman: The Dark Knight Returns animated feature. Crisp animation and quite faithful to the comic (which I still enjoy) but like tthe Batman : Year One DVD, for some reason this just didn't enthral. It was quite dull actually so I hope for a return to form for the DC DVDs after the second half is released. 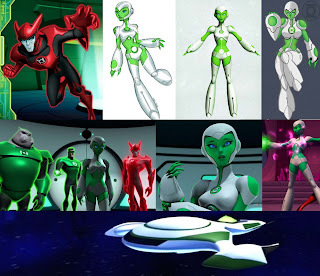 Beating all of the above was the Green Lantern animated TV show, a surprisingly really enjoyable series. (presumably it was supposed to feed off interest created by the live action movie: obviously there was none, but this washes all memories of that film away). Although CGanimated, the show hearkens back to Bruce Timm's era and has design and storytelling fingerprints all over it, resulting in the most enjoyable DC animated show since the Justice League for me. The series is 20+ episodes I think and the first DVD has the opening 13 episodes which form a complete story arc called Rise of the Manhunters. Hal Jordan and Kilowog steal a prototype starship called the Interceptor from Oa, zipping along to the edge of space controlled by the Guardians of the Galaxy. From deep within the adjacent Forbidden Zone, Atrocitus leads his red Lantern army towards the Guardian space, looking to invade and exact bloody revenge on the Guardians. 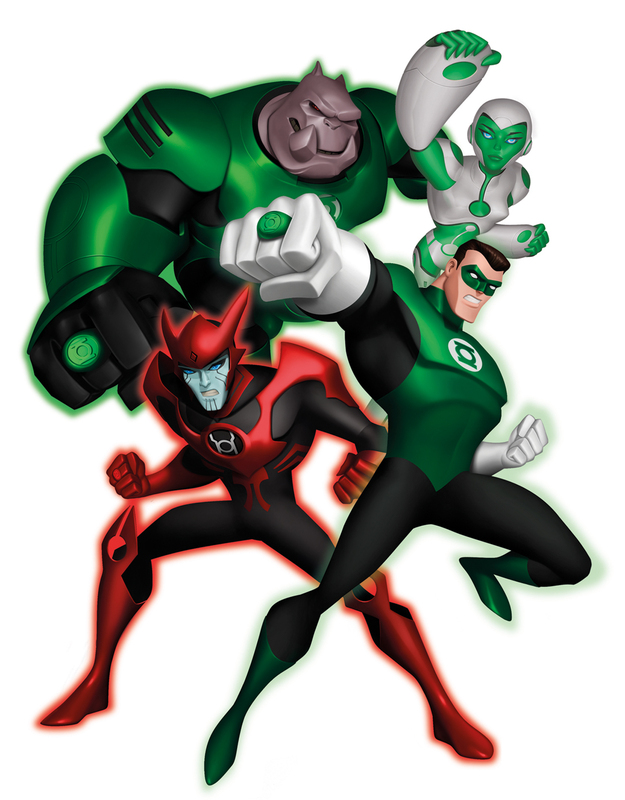 Jordan and Kilowog are essentially rangers along the frontier, joined by a reluctant recruit named Razer, a defecting Red Lantern and Aya, the robotic manifestation of the Interceptor's AI system. What makes the show a joy, beyond the stunning CG animation (if anything was made for the CG treatment, it would be GL...although the Metal Men could make great use of it too), is the writing. Each show subtly lays down elements as the arc progresses, foreshadowing and playing off of previous elements in an deft manner. 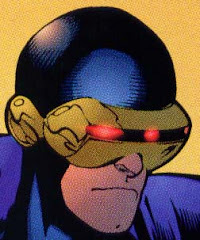 The story is largely devoid of other DC characters (though the Thanagarians appear), focusing on such recent GL-centric elements such as the Red and Blue Lanterns and older elements such as Ganthet, Mogo and the Star Sapphires.